In this section I hope to provide some useful hints and tips on how to find a good SEO. In the world of SEO there are, like in any industry, Good and Bad SEOs. There are those that have acquired a top ranking by using black hat techniques and fooled google into ranking them highly. Although some would say that they have only exploited loopholes in Google's algorithm. And there are those that have followed the rules and achieved this naturally. However it should be noted that these rules are constantly changing and unfortunately people are rewriting the rules as we speak. So what is deemed an acceptable way of optimising a website today may no longer be acceptable tomorrow. And this is one of the key issues you may have experienced in the past. You may have thought you hired a great SEO and he achieved some fantastic results in a short space of time, however now you website has suddenly dropped out of Google! It should be noted that as SEO's we are constantly trying to maintain, test and update our knowledge. So how do you go about finding a good SEO? Well I think this is a pretty easy question to answer! You simply type into google the main keywords associated with SEO such as "SEO". "Website Optimisation", "Search Engine Optimisation" and your locality. Such as "London" or "UK". However if you choose a smaller area you dramatically decrease the competition and hence it would be easier to rank highly, so you would not be guaranteeing someone who is actually very good at what they do. So I would suggest you choose a company that ranks highly for it's own industry keywords. And after all surely they should rank highly in the SEO industry if they're any good at SEO. "Would you go to a dentist that has bad teeth, would you go to a mechanic that can't fix a car or a personal trainer that is not in shape?" Then I would look at the age of the domain name that the SEO Company is using for their website. Good SEO companies will have years of experience in the industry and their own websites should reflect this. A website that is under a year old would certainly start the alarm bells ringing for me, but I suppose we all had to start somewhere. So if it is only a couple of month old stay well clear. The other option is to look at your specific industry keywords. 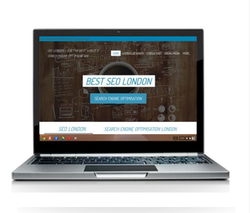 So for example: if you are looking for someone to optimise your "London Chauffeur Company" search in Google using your specific business area keywords and you should be able to find on the bottom line of their website who has optimised it. Or simply contact them and get a recommendation. This is a good way of ensuring you are also hiring a SEO that is very familiar with this industries keywords and basically what does and does not work! I get a lot of clients contacting me who have done exactly this. Reviews and testimonials are very easy to fake, go that one step further and contact the company that they have purportedly carried out work for and find out how they did. Well I would say fine if they again feature highly for their own industry keywords. However many of these web designer employ external SEOs to optimise their websites and then believe they can offer the same level of service. So check if they feature highly for SEO related Searches. 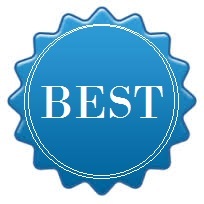 I would sooner employ someone that is an SEO first and foremost and a web designer secondly. It should also be noted that some web designers build websites that are severely floored when it comes to optimisation. The other issue you have is that a lot of SEO companies outsource the work to other companies. HOW MUCH SHOULD I PAY FOR A SEO? There may also be a lot of additional work rectifying inherent problems whether due to the design or previous work carried out by SEOs such as link building and the need to remove these links. Some business areas are naturally more difficult to rank highly for due to the level of competition being much greater. As a general rule the more common the service or product is, or the more expensive the item the more difficult it can be to rank highly for. There are some obvious exceptions to this rule. I certainly would not go for a company that SPAM Emails me their SEO services. And go on to make inaccurate statements about your website. But these guys say they focus their optimisation on their clients websites and they don't bother marketing themselves in this way. Why Not? Surely if you are good at SEO and you want people to believe you are good at SEO then why don't you rank highly in your own industry. Especially if you're proclaiming you're good at SEO? I think I for one would be more inclined to believe what they say if this was the case. How to choose a good SEO?